There are many lookup functions in Excel (such as VLOOKUP, LOOKUP, INDEX/MATCH) that can go and fetch a value from a list. But you can’t lookup images using these formulas. For example. if I have a list of team names and their logos, and I want to lookup the logo based on the name, I can’t do that using inbuilt Excel function. In this tutorial, I will show you how to do a picture lookup in Excel. It’s simple yet it’ll make you look like an Excel Magician (all you need is this tutorial and sleight of hands on your keyboard). Below is a video of the picture lookup technique (in case you prefer watching a video over reading). 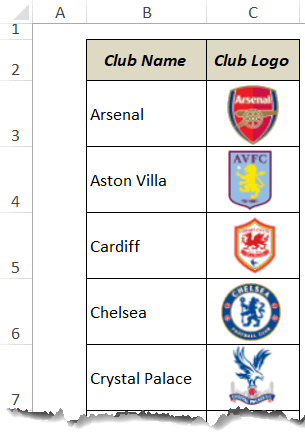 I have a list of the 20 teams in English Premier league (arranged in an alphabetical order) along with the club logo in the adjacent cell. Now what I want is to be able to select a team name from the drop-down, and the logo of that selected team should appear. Getting the data set ready. 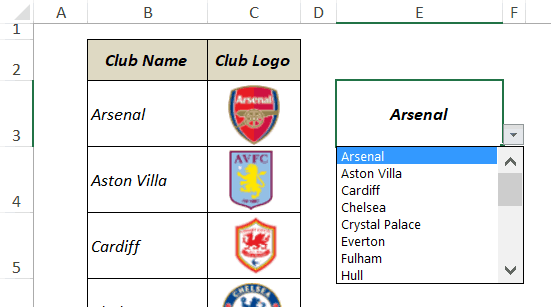 Creating a drop-down list to show item names (club names in this example). Let’s go through these steps in detail now. Have the names of all the items (team names) in a column. In the adjacent column, insert the picture for the item (club logo in this example). Make sure the logos fit nicely within the cell. You can resize the images so that these are within the cell, or you can expand the cells. Select the cell in which you want the drop-down (E3 in this example). Click on Data Validation option (it’s in the data tools category). In the Data Validation dialog box, within the Settings tab, make sure List is selected in the Allow drop-down (if not selected already). In the Source field, click on the upward pointing arrow icon. This will allow you to select the cells in which you have the list for the drop down. Select the range that has the club names (B3:B22 in this example). The above steps would give you a drop-down list in cell E3. In this part, we create a linked picture using any of the existing images/logos. Select any cell that has the logo. Make sure you have selected the cell, not the logo/image. 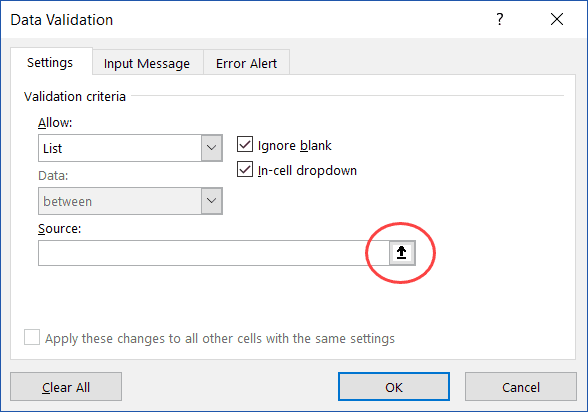 Copy the cell (use Control + C or right-click and select copy). Right-click on the cell where you want to get the linked picture (it can be any cell as we can adjust this later). 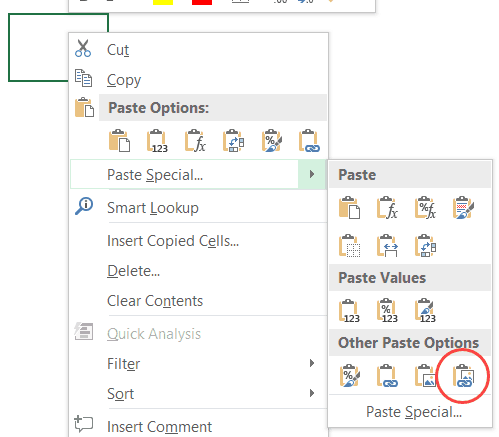 Go to the Paste Special option and click on the small right-pointing arrow to get more options. Click on the Paste Linked Picture icon. The above steps would give you a linked picture of the cell that you copied. This means that if any changes happen in the cell that you copied, it will also be reflected in the linked picture). In the above image, since I copied the cell C3 and pasted a linked picture. Note that this is not connected to the drop down as of now. Also, when you paste the linked picture, it creates an image. So you can move it anywhere in the worksheet. Now we have everything in place, and the last step is to make sure that the linked picture updates when the selection is changed. As of now, the linked picture is linked to only one cell. We can connect it to the drop-down selection by using a named range. Click on the Define Name option. This will open the ‘New Name’ dialog box. Select the linked image that we created in the previous step. You will notice a cell reference in the formula bar (for example =$C$3). Delete this cell reference and type =ClubLogoLookup. That’s it!! Change the club name from the drop down and it will change the picture accordingly. How does this Picture Lookup Technique work? When we created a linked picture, it was referring to the original cell from which it was copied. We changed that reference with the named range. This named range is dependent on the drop down and when we change the selection in the drop-down, it returns the reference of the cell next to the selected team’s name. For example, if I select Arsenal, it returns, C3 and when I select Chelsea, it returns C6. Since we have assigned the named range to the linked picture (by changing the reference to =ClubLogoLookup), it now refers to the new cell references, and hence returns an image of that cell. 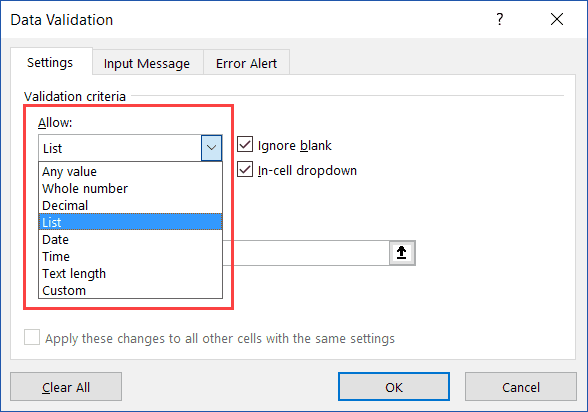 For this trick to work, the defined name should return a cell reference only. This is achieved by using the combination of INDEX and MATCH functions. The MATCH part in the formula returns the position of the club name in the drop down. For example, if it’s Arsenal, MATCH formula would return 1, if its Chelsea then 4. The INDEX function locates the cell reference that has the logo (based on the position returned by MATCH). I made a picture vlookup according this formula, but I am not getting sharp image why ? I agree with the other commenters that this works better than any of the other step-by-step guides I have found for this. However, I am having trouble duplicating the process beyond the first dropdown/photo cell. What is the process for repeating this for the rest of the worksheet? Thanks! Thank you for a very easy, uncomplicated and great explanation. The previous examples I tried from other websites were complicated, confusing and did not work. 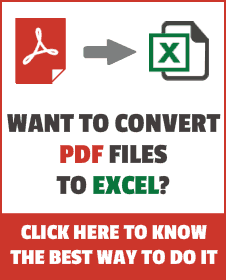 i have one concern ,i am trying to do image lookup in one excel file to another excel,but it was not coming .so kindly need your help on this. I have an issue when i try to link the formula to the image. When i type = and the name of the formula i have given im getting this message: Reference is not valid. Can you please help me understand my error? Hi. I had the same problem. My excel was in Spanish, so once I wrote the formulas in Spanish, the error dissapeared. What if I don’t want the drop down list. Instead of new list? Thank you so much with this. I was wrecking my head with macos that didn’t always work. This was so much easier to do. Hi, can it be done in userform? Thank you so much.It was awesome. Hey this works in excel 2010? Yes it does, I just did it in Excel 2010. Hey, Thanks for Sharing, i just have a question, i merged couple of cells and pasted the picture in and sized as the merged cell, the problem is whenever i close and re open the file, the picture comes small again. I’ve done something similar before using images on points in a scatterplot and some vba code to pick the right axis scales from a lookup list to show each picture…but this is a thousand times simpler. Now have a series of maps dynamically changing in my workbook (and linked to a powerpoint document too) – awesome! I have a question. In this example the filter cell is E3 and the image is in G3.When i chose a team the image is changing. I want to do this filter in all th cell E:E.If i choose a team in E4 it changes the images in G4, if i choose a team in E5 it changes the imagine in E58,etc. Hello Bogdan.. Welcome to Trump Excel! Yes this can be done. 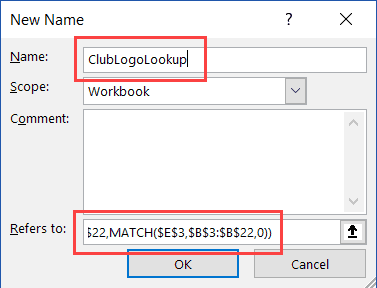 You will have to create multiple named ranges (ClubLogoLookup2, ClubLogoLookup3, and so on..). Just change the reference from $E$3 to $E$4 and so on. Hello Sumit… I tried to see your sample files ( http://goo.gl/Cwk6ls) but they were moved out. On another note, How could you use your technique if “Club Names and Logos” and “Validation Drop Down and Cell showing Selected Club Logo” are in a different workbooks? Hello, This is a great trick. However, when I try to try to create the dynamic image in a different tab it never works. Is there a specific trick that I have to do? You have to name the two tabs you’re using in the formula. Be specific about which tab has the images and which tab you want the dynamic image to be in as well as which column has the words that are tied to the individual pictures. Thanks a lot Dave. That helps so much. I was finally able to do it. Much appreciated. Is there a limit to how many cells this formula extends to? I’m using this formula because another similar one I used stopped retrieving pictures at row 2727. Does this formula have that same problem? Thank you! This helps a lot! Are you able to move the dropdown bar to a different tab? Instead of having next to the pictures?